One of the benefits of living in a dog-friendly apartment complex is getting to celebrate your pup’s birthday. Of course, not everyone is on board with the idea of throwing a birthday party for your furry friend, but it can be a great excuse to get some friends together so both you and your dog can socialize. In fact, increasing your dog’s social circle is one of the most important ways to make sure your dog becomes a good citizen. Planning and throwing a doggie birthday party can have its challenges when you live in an apartment, but with a little creativity you can make sure your dog feels special on his or her birthday. When you’re throwing a puppy party in your luxury apartment, you can’t afford to be too nice or lenient with your guest list. It may sound harsh, but it is important to create a group of canine companions that won’t upset your neighbors. Start by making sure that all of your invitees are fully potty trained. It’s hard to resist those bouncing balls of fluff, but the number one way to cut down on cleanup is to make sure your puppy pals that aren’t potty trained, stay at home. While everyone can appreciate rehabilitation stories, your pup’s birthday party is not the time to test a dog with behavioral issues. If your friend’s dog gets snippy with others, it is safest for everyone involved if that dog doesn’t attend. Lower-key meet ups are going to be far less stressful for a recovering pooch. Keep your guest list to a few, carefully selected dogs so that neither you, nor your apartment ends up overwhelmed. 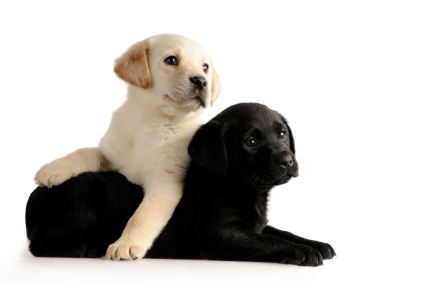 Choose dogs with mild temperaments that are going to make for a great combo of snuggling and polite play. If your apartment complex has a fenced-in outdoor area and weather permits, consider taking your doggie guests outside for a bit of fetch, some simple agility, or a good old-fashioned roughhouse. You could also plan for your party to take place at a local dog park. This can be a fun environment for your animal get-together, but remember that going to the dog park can have its own built-in risks. When your party is stuck indoors, you might struggle with ideas to keep your furry friends entertained. For the most part, the new sites, smells, and company will be enough. You could boost the party atmosphere by turning it into a costume party, providing pet-friendly treats, and decorating. Choosing a fun theme is always a good way to make your gathering more eventful. Whether you hold your dog’s birthday party inside or outside, remember to give your guests a little parting gift. Silly bandannas, collars, bowls, and treats are great doggie bag options. This entry was posted on Tuesday, February 3rd, 2015	at 6:44 pm	. Both comments and pings are currently closed.